Above: A photo of Gary Brown Jr. on his 40th District Democratic State Central Committee campaign website. 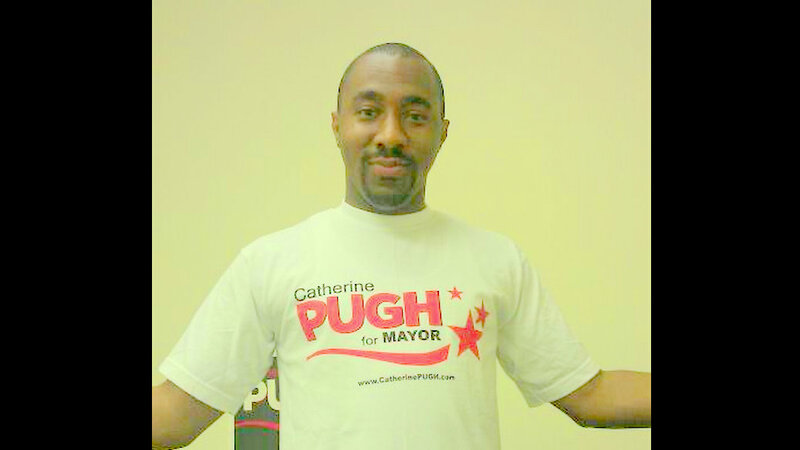 Gary Brown, Jr., indicted on charges of making illegal contributions to Catherine Pugh’s mayoral campaign, has been described as a former Pugh campaign aide and former staffer in Pugh’s 40th District Senate office in Annapolis. But a spokesman has confirmed to The Brew that Brown currently works for Mayor Pugh, reporting to her director of communications. Brown, widely described as soft-spoken and low-key, was “a timid young man who always stayed in the background,” according to a source. The source said Brown was handed the indictment while working at City Hall. A statement released Monday through spokesman McCarthy quoted Mayor Pugh as saying she was “saddened by the allegations,” but made no mention of Brown’s employment as one of her new hires. Brown is accused by a Baltimore City grand jury of funneling $18,000 in contributions – three times the maximum allowed for an individual – in the names of his mother, Desiree Johnson, his stepfather, Samuel Johnson, and his brother, Danny Brown. The contributions were made in five separate transactions last year before the Democratic Party primary where Pugh narrowly defeated former mayor Sheila Dixon. Brown also contributed $301 in his own name while he served as Pugh’s mayoral campaign manager. Judging by Brown’s circumstances, raised by a single mother, living in a modest West Baltimore house on a small state salary, it’s unclear where he could have gotten the $18,000 in cash. Brown has not publicly commented on the charges. But he was in line for a much more robust income. Chosen by the Democratic State Central Committee in Pugh’s former district to fill a vacancy in the House of Delegates, Brown stood to pull down nearly $70,000 as a lawmaker on Annapolis. It is unclear whether Brown planned to continue to be on the City Hall payroll. Friday’s indictment scuttled his planned swearing-in as a state delegate. The indictment comes after complaints of voter suppression and fundraising irregularities by the Dixon campaign. Last October, a federal judge threw out a lawsuit calling for a re-do of last April’s primary by Voters Organized for the Integrity of City Elections (VOICE), saying the group filed the suit too late. The State Prosecutor began investigating Pugh’s campaign fundraising after complaints of about $66,000 coming from apparently bogus people and corporations, as City Paper reported. The indictment details how Brown allegedly used the names of his mother, stepfather and brother to bundle $18,000 in cash. In each case, he reportedly placed cash into the checking accounts of a family member, then deposited a check or credit card advance to the Pugh campaign in their name. A source said Brown was responsible for collecting and recording checks and credit-card contributions coming to the Pugh campaign. Brown’s stepfather, Samuel Johnson, a conduit for $6,000 of Pugh contributions, was paid $2,370 by the Pugh organization to provide office cleaning services, campaign records show. The payments were sent to the Walbrook Avenue house he shares with Brown’s mother. Brown himself was paid $1,000 as “wages – campaign staff” last year and also reimbursed for office supplies, parking fees and yard-sign removal, reports filed by the Committee to Elect Catherine E. Pugh show. A graduate of Carver Vocational Technical School, Brown started working for then-state Sen. Pugh in 2010. He continued as her legislative aide until Pugh was sworn-in as Baltimore’s 50th mayor last month. He was variously described as “extremely, extremely close” to the mayor, “a loyal soldier” and “like a son to Catherine Pugh” by Democratic Party operatives yesterday.